The Irvine building isn't a typical high-rise with marble floors and gleaming cookie cutter apartments. 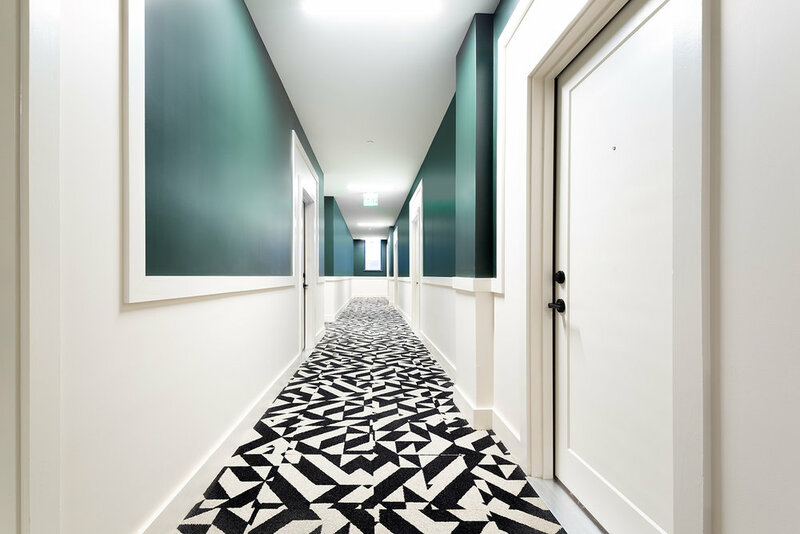 Its history goes back over 100 years, functioning first as a warehouse, in 2018 it’s been completely reimagined and renovated by Post Brothers into an authentic contemporary West Philadelphia living experience. The 150 units feature large living spaces that provide the perfect palette to express a unique urban style anyone could be proud of. To facilitate this transformation Mega Supply Pro manufactured a series of custom aluminum windows with stylish roller shades that add light and expanse to any space. 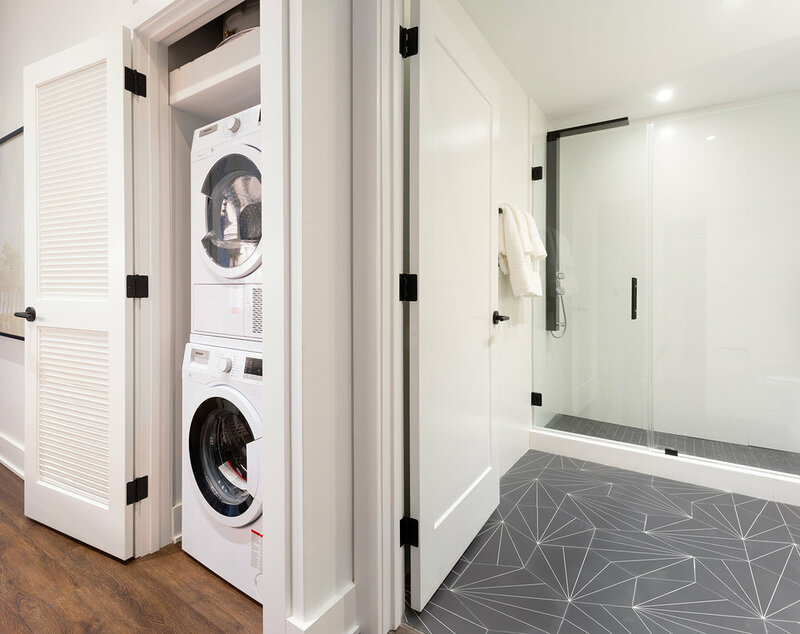 Interiors also include deluxe-sized closets with customizable mill work and hanging racks, as well as modern compact solutions for washer and dryer combos, – all procured by Mega Supply Pro. Each craft kitchen invites you to experience the best, without sacrificing unconventional character. Mega Supply Pro supplied and delivered full-size stainless steel appliances, antimicrobial quartz countertops, and exquisite Italian tile backsplash without breaking the bank. Post Brothers wanted to offer a luxurious spa experience in every bathroom, for which we were able to source the finest glass shower door sets complete with artisanal tile surfaces, and rain style showerheads, as well as high-pressure body jet shower panels. Mega Supply Pro helped the developers refine the design with sleek matte black fixtures intended to make a bold statement and create a one of a kind bathroom look. The Irvine offers a unique variety of amenities throughout the building, with both indoor and outdoor areas that match the interiors in quality of the materials and aesthetics. 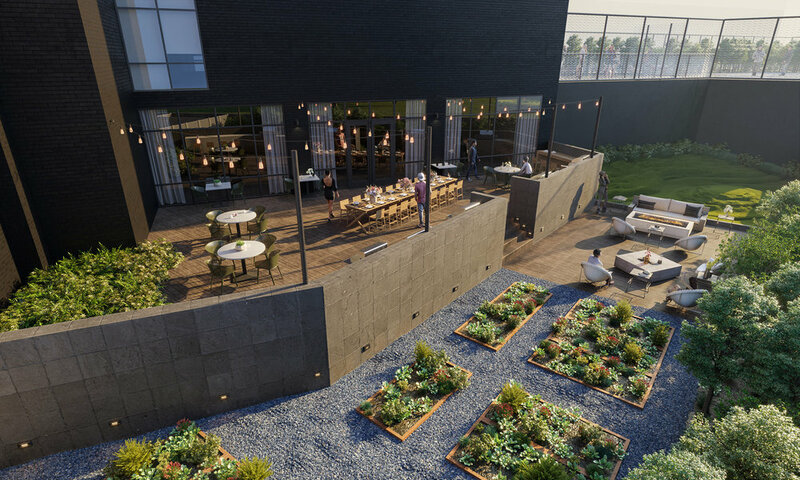 From the fitness center to the community garden – the building is designed with the community in mind, offering its residents outdoor kitchen and dining areas, dog park, co-working spaces, and a full suite of home automation and smart home infrastructure aimed at comfortable 21st century living. With the help of Mega Supply Pro’s multi housing purchasing expertise Post Brothers once again was able to turn a run down neighborhood eyesore into a monument of comfort and style.